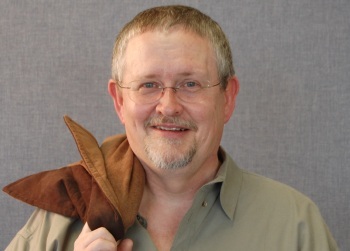 Orson Scott Card thinks the gay marriage issue is moot. Orson Scott Card, writer of Ender's Game, has said some pretty awful things in the past about gay marriage. It "marks the end of democracy in America" according to a piece he wrote for the Mormon Times. In that same article he goes on to say that "when government is the enemy of marriage, then the people who are actually creating successful marriages have no choice but to change governments, by whatever means is made possible or necessary." Things have changed since then, and a potential boycott of his film now has Card pleading for tolerance. The gay marriage issue is moot after the recent Supreme Court decision, says he; can't we all just get along? "Ender's Game is set more than a century in the future and has nothing to do with political issues that did not exist when the book was written in 1984," Card now says. He is resigned to gay marriage becoming law throughout the land. "Now it will be interesting to see whether the victorious proponents of gay marriage will show tolerance toward those who disagreed with them when the issue was still in dispute," Card concludes. An interesting plea, given that tolerance was definitely not on Card's agenda, at least not before his wallet was threatened. But time and bank balances soften even the harshest of critics into mild curmudgeons. Perhaps this is the dawn of a new Age of Aquarius. We shall see.